Dedicated to providing a totally new, anxiety-free dental experience for you and your family. Dr. Yadani and his team have the skills and experience to make your visit both safe and comfortable! Fear related to dental care is a concept our patients learn to forget quickly from the minute they walk in into our office! From a modern and comfortable facility to caring chairside manners, pain-free anesthesia, sedation options and small perks to pamper our patients, you can be assured we will deploy all the efforts to make your visit a completely new and anxiety-free dental experience! Click our photo to read our full bios. To say Dr. Yadani comes from a diverse background is certainly not an exaggerated statement. Born in France, spending his childhood in Morocco, and growing up in Montréal, Canada already made him a citizen of the world before becoming a U.S. citizen and adopting New Hampshire as his new home ten years ago. Early in childhood, caring for people was something he always wanted to do. Naturally, after completing undergraduate studies in Molecular Biology and further with a degree in Computer Science and Business, he went on to pursue his Doctorate Degree in Dental Medicine with honors at the prestigious Laval University in Québec, Canada. He then followed his dental education by completing a post-graduate residency at the Montreal General Hospital in Montréal, Canada followed by a Fellowship in Oral and Maxillofacial Surgery at the Montefiore Medical Center in New York City. He developed a passion for implantology where he continues to advance and perfect his training. Throughout his dental education, he received many awards in various disciplines for clinical and research excellence. He was the President of his dental school student council and was awarded the Pierre-Fauchard Academy Award for his leadership. His insatiable thirst for knowledge and dedication to always be at the cutting edge in his profession has him regularly traveling nationally and internationally to share and learn with the top clinicians of the world in the disciplines of medicine, oral surgery, implantology, and cosmetic dentistry. Annually, he exceeds by at least tenfold the State Board requirements in continuing education to offer his patients the latest and most advanced techniques in modern dentistry. Hence, this is how and why Manchester Advanced Dental came into existence! Being licensed to practice in both Canada and the U.S., he holds an Associate Fellowship credential from the American Academy of Implant Dentistry (AAID); he is also a Fellow of the International Congress of Oral Implantologists (ICOI) and is pursuing Board Certification in the field of Oral Implantology. Aside from these credentials, he remains active among his peers and is a member of the American Dental Association, the New Hampshire Dental Society, and the Greater Manchester Dental Society. 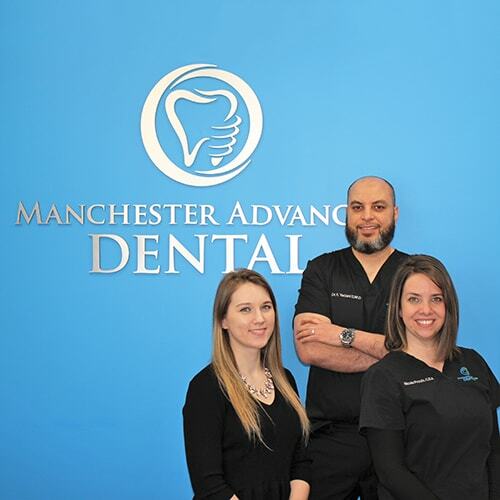 Dr. Fouad Yadani has built Manchester Advanced Dental with a vision to be the new home for outstanding and advanced dental care in Manchester, NH, and the surrounding areas. After spending ten years serving the greater Manchester community in an urgent care setting and taking most of the providers there under his wing to mentor them, he decided to take on a new challenge to raise the bar in the level of dental care by providing his patients with a brand new state-of-the-art facility uniquely centered around the patients’ comfort and safety, where cutting edge technology, minimally invasive surgical techniques, and new low radiation digital imaging allows he and his team to provide the most advanced dental care. His calm and warm demeanor combined with his touch of humor will surely put you at ease at the first contact. He loves to take time to explain dental conditions and/or treatments and believes strongly in educating his patients so that they can be empowered to make the best decisions for themselves and their loved ones. 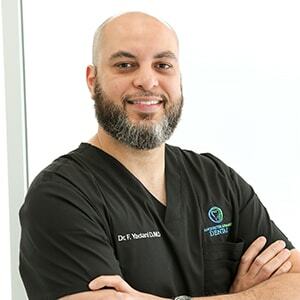 Dr. Yadani believes heavily in giving back to the community and, among other functions, he serves as a part-time staff dentist for Easter Seals where dental care is provided to the underserved population. He also has ties to many local nonprofit organizations and is always present when the opportunity to help becomes available. When he is not practicing dentistry or doing community work, he enjoys spending time with his lovely wife Imane and their three wonderful children: Layla, Adam, and Maryam. Being a sports fan and occasionally playing hockey with friends, Dr. Yadani loves to follow the Red Sox and Patriots, but growing up in Montréal, he remains a loyal and an avid Habs fan (sorry Bruins nation!). Outside of sports, he loves fishing, cooking, and exploring new places with his family. Nicole was born and raised in New Hampshire. She has grown up with a love for dance and has danced for more than twenty years since she was three years old. She has two younger siblings and is family oriented. Her favorite thing is to spend time surrounded by family and friends. She has a passion for crafts and refurbishing furniture. She loves being outside and the outdoors, whether it is a walk with Lily, her black lab or boating with friends. New Hampshire has so much to offer. 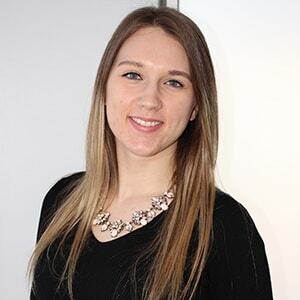 Nicole started her professional career as a teacher but found that it was lacking the satisfaction that she needed. Dentistry is a field where she found she was able to help a patient get the smile that they want, but better yet, deserve. What makes her love what she does every day is knowing what she does brings a smile to someone’s face and that she can do it with a team that is just as passionate as herself. Dr. Yadani and his assistant Marta are the absolute best. I have been with them for a few years now. 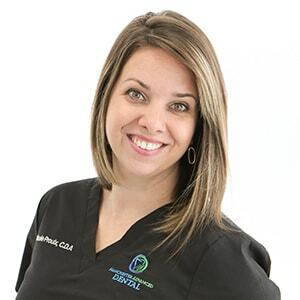 They make their patients feel very comfortable and relaxed; they work amazingly as a team to give their patient the best results possible, and their sense of humor is something that everyone should experience when sitting in the dentist chair. Ready To Meet Your Manchester Dental Team?